Like their dad, the Trump kids are rich, influential and have constantly been in the limelight over the years for both their business prowess and humanitarian achievements. Eric Trump is certainly not left out in this as he has been seen as ‘just that Trump kid’ with stories surrounding him, both in business and in philanthropy. Eric is the Third child and second son of Donald and Ivana Trump born on the 6th day of January 1984 in New York City. A younger Eric spent a good part of his childhood with his maternal grandparents due to his parent’s divorce when he was 8. With his grannies, he learned the skill of hunting and fishing, a skill which landed him in trouble in 2010 when he was seen hunting leopards and elephants with his elder brother at Safari Zimbabwe. The young lad broke the Trump family tradition by attending Georgetown University instead of Pennsylvania university where his father, elder brother Donald Trump Jr and elder sister Ivanka Trump attended, but that did not weigh him down as he left Georgetown University with honors in finance and management. 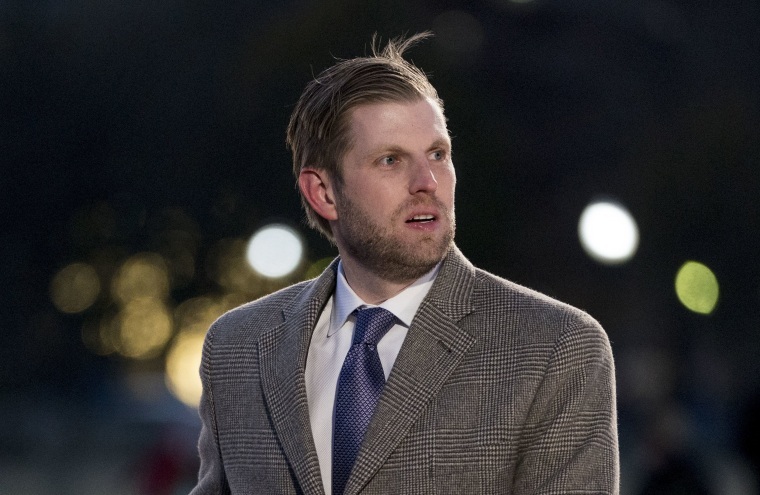 After school and with the experience he had in the family business which he had been exposed to at a very young age, Eric joined the family business and has sustained the running of the business with his elder brother ever since his father Donald Trump took over the presidential office in 2016. Eric Trump toed the path of his father and great grandfather by sustaining a given measure of success in both business and service to humanity (philanthropy). He is the executive vice president of development and acquisitions at the Trump organization and is a member of trustees of the Trump organization. He has successfully recorded a good amount of success aongside his brother Trump Jr after they were left to manage the affairs of Trump organization through the tenure of their father’s presidency. He established the Eric Trump foundation in 2007 whose primary focus is raising money for the St. Jude Children’s Research Hospital in Tennessee. The foundation recorded great success as they racked up a huge funds in donation. By 2016, it was recorded that they had donated well over $16.3 million dollars to the hospital. Such measure of success lacked no form of controversy as Forbes alleged that the foundation diverted money meant for cancer patients in the hospital to the Trump family business. Eric firmly ruled against such allegations stating his firm stance in working with the law to clear the foundation of all allegations. With the case still in court since 2017, ears are itchy to hear the outcome. Eric Trump’s love story is that of a longtime friend turned lover. In his case, it was with Lara Lea Yunaska, an associate producer on the syndicated television news program Inside Edition. Lara is a graduate of North Carolina state university and a lady with the touching skill of scintillating delicacies learned from the French culinary institute in New York. With some media skills, Lara Lea was instrumental in the 2016 campaign and eventual election of her father inlaw Donald Trump as the president of the United States. She worked as an online producer and fundraiser for the campaign organization. Lara and Eric got married on November 8, 2014, at Mar-a-Lago, the same place his elder brother tied the nuptial nut. The union has been blessed with a son; Eric Luke Trump, whose arrival was witnessed on the 12th 0f September 2017. With all of Trump’s children financially stable just as their multi-billionaire father, it could be said that Eric’s net worth is surey not lacking in any way. Co-running the affairs of the company with his brother Donald Jr, Eric Trump is more involved in seeking out new projects, investments, and development while his brother maintains the current roster. Eric’s net worth is estimated to be around $300million dollars. On a comparative study, one could say that Eric Trump seems to be the tallest of the Trump family, even though they are actually not lacking when it comes to height. He stands tall at a height of 1.96m. His weight is yet to be made public.